I was assuming this offer was the same thing, and would reject me since I already had one. 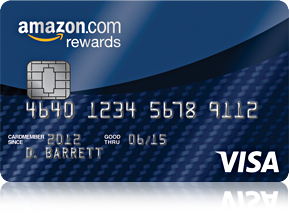 But then today I went to purchase something and a full-screen ad came up on the way to checkout, showing an image of an Amazon Visa Card, with an actual credit card. (The store card only works on Amazon and is a floppy membership-type card with no chip or strip, since you wouldn't be swiping it anywhere.) Hey Amazon, good advertising there. This actually got it through my thick skull that it's a different product, and I applied. I was approved in 60 seconds, and it credited the $70 to my Amazon gift card balance without me having made the purchase yet. Even better, since this means I can just take the free stuff and throw the card in a drawer when it gets here and never use it. For reference, if you're wondering if your credit score is sufficient, I have a lot of debt, but no negative items. I generally qualify for store cards with a low limit, but my unused Visa/Mastercard accounts also send me letters saying they're lowering my credit line due to high amount of total debt. I got the lowest interest rate they offer and a limit in the mid-four figures, so I'm thinking this card is probably a good one for people without great credit to try.